If you are looking for a reward program to try and make some extra money or you already have tried different ones and want to add one to your list, Swagbucks may be what you are looking for, because it is very simple to use and there is no way to get it wrong. Swagbucks is a reward and loyalty program website with years of experience where you can get “Swagbucks” by completing simple tasks online and once you have accumulated a good number of swagbucks, you can redeem them for gift cards in different stores, money in your PayPal account or donate the money to charity. How do I join Swag bucks? If you want to start using the program, just go their website and create a free account. The process takes less than five minutes and you can use your email or Facebook account. You can also download the app, which is available for Android and iOS users, so you can complete tasks wherever you are. How do I get Swagbucks? There are different ways to get Swagbucks so try them all to discover what works the best for you. Use the search engine of Swagbucks. Use their search engine as your default one and start earning points by doing the same you do every day online. 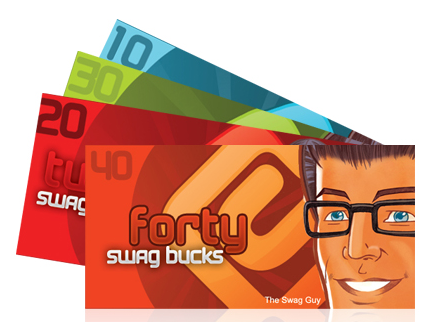 You won’t even realize you are earning swagbucks. Earn cash back. If you have to buy something online, search on the swagbucks website first to see if the store is affiliated to them, so when you place and order, you will receive swagbucks for what you buy. Do surveys. The website also has different surveys available, and the amount of swagbucks you get will depend on the surveys you do. Watch videos. You can get swagbucks by playing videos and not all of them are ads, some of them may be very entertaining. Consider that there is a daily limit of 150 swagbucks for this category. Referring to the website. Every time someone you told about the website uses your link, you will get 500 swagbucks and if they are active members you will receive a percentage of their earnings. Using Swag codes. There are different places where you can find swag codes and using them will give you swagbucks. How do I find Swag codes? Swag codes are usually found in the pages related to Swagbucks, like their social media. They are a combination of words in quotes with no spaces in between, like “UseMeToGetSwagbucks”, and they will be in their posts. Once you find one, go to your account and introduce it as quick as you can, because they expire. Make sure to write it just as presented where you found it, with no spaces and using the capital letters on it. What Is The 80/20 Rule And How Can It Be Applied To Web Design?